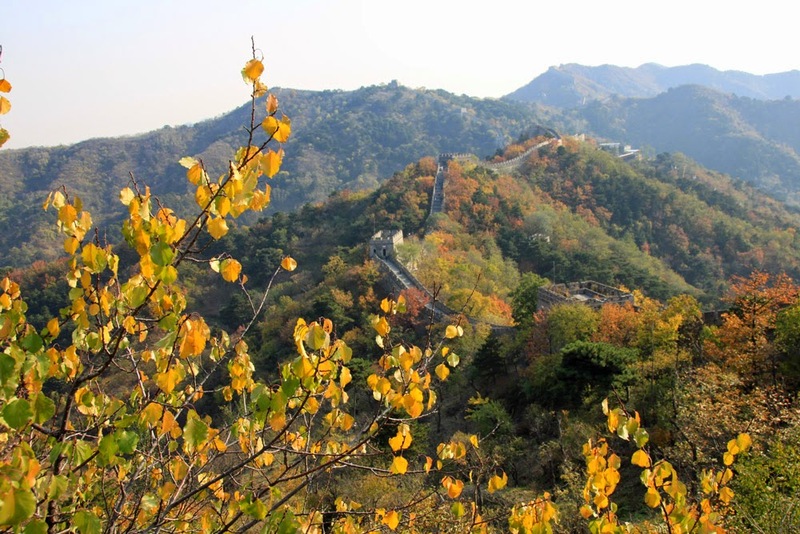 As the weather forecast for Monday looked pretty good I decided to get up early and visit the Great Wall. My friend helped me to decide on a section (options were Badaling, Huanghuacheng, Mutianyu, Jiankou, Gubeikou, Jinshanling and Simatai) and recommended Mutianyu. In her opinion it's the most beautiful one with an absolutely breath-taking scenery. It was surprisingly easy to get there (detailed description here). I took the bus to Huairou and once I got off I had plenty of cab drivers vieing to get me in their car (err I'm blonde and there's literally no way to hide that I'm a tourist). 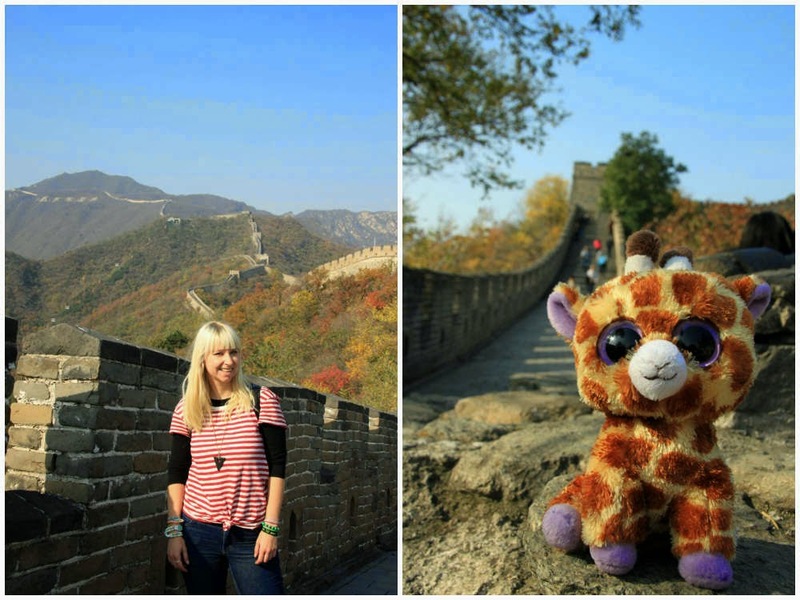 The one I ended up started with 80 RMB, however, as I read the transfer from the bus stop to the Great Wall would be 40-50 RMB I offered 40. I think he didn't expect me to get that low, so his face completely fell off, when I mentioned 40. In the end we agreed on 50 RMB and he also offered to wait for me at the wall to drive me back again. What could have been better?! Great. Sorted. 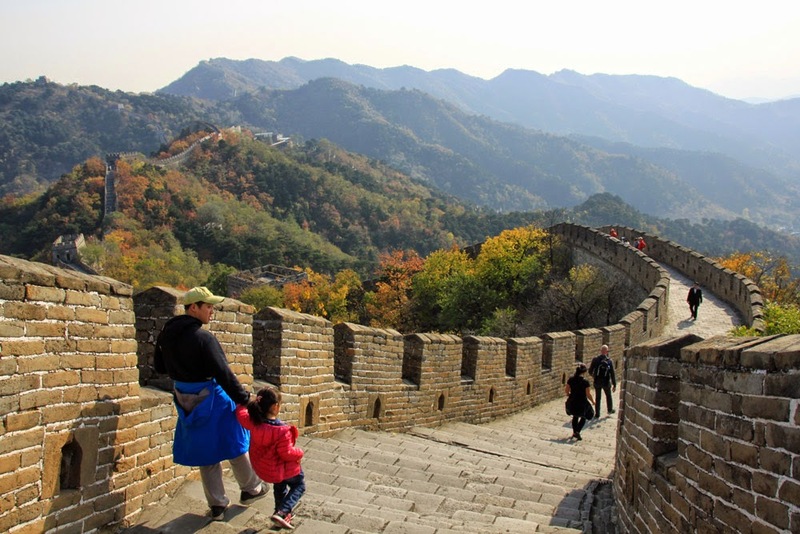 The entrance fee for the Wall, cable car to go up and slide to go down is 158 RMB, which is roughly 25 USD. Yeah, right a slide. How cool is this? 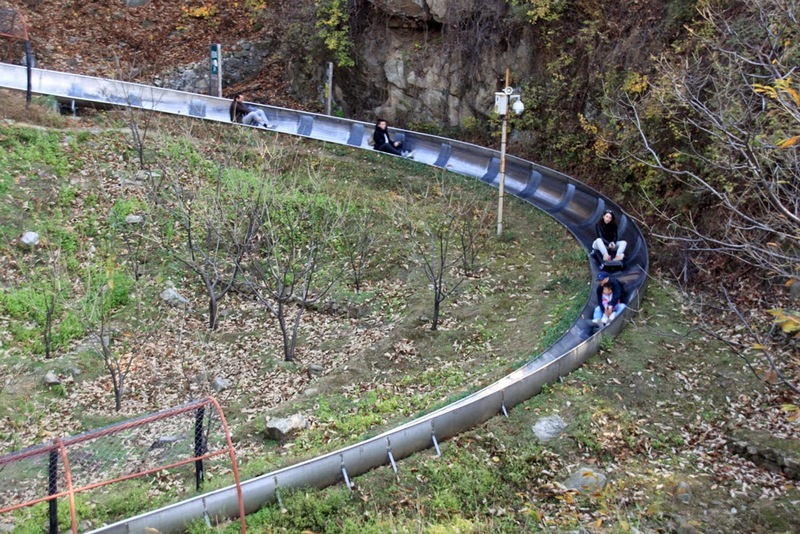 You basically go up by cable car and come back down on a massive slide. 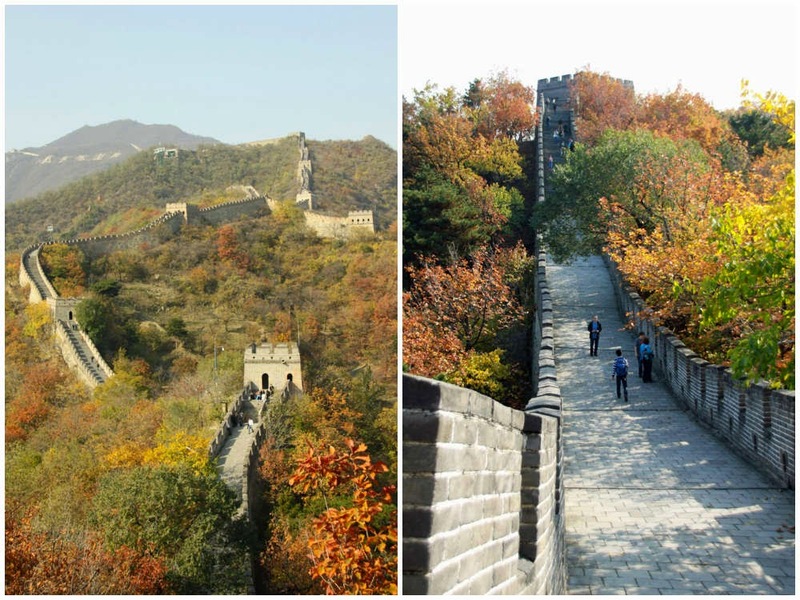 I'm not such a massive fan of hiking, but to hike on the Great Wall is just stunning. I was thinking the whole time; How could they even have build this nearly 1500 years ago? With no technical equipment whatsoever it just seems impossible to me. 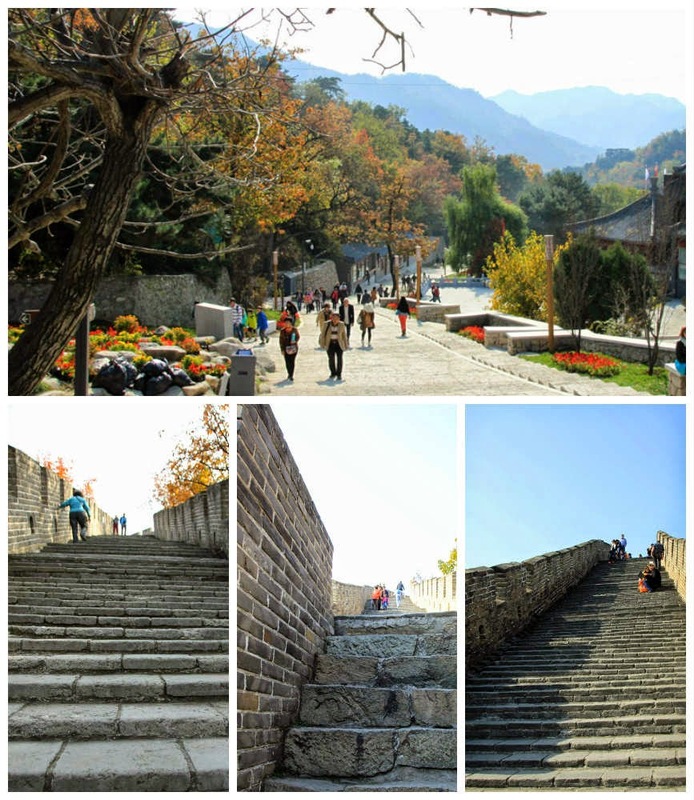 The section at Mutianyu measures 23 to 26 feet high and four to five yards wide. So, wtf?! I took some photos. Please find them below and a few more on Flickr.